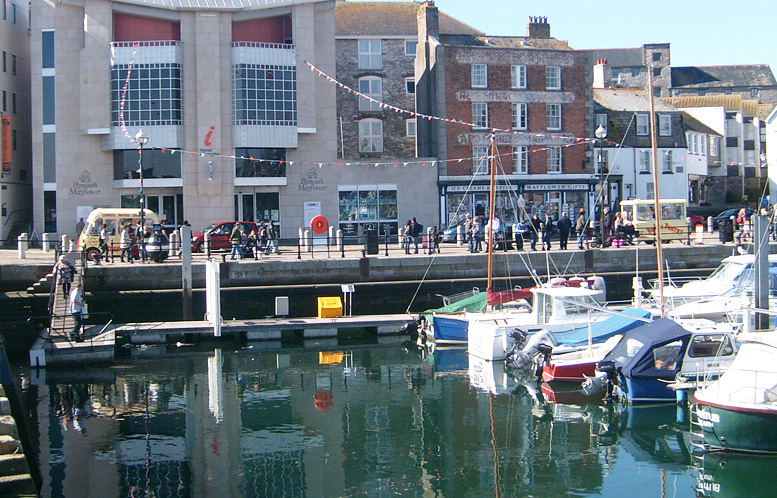 The Plymouth Barbican is full of history. 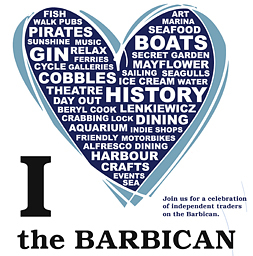 From the Pilgrim Fathers who set sail aboard the Mayflower Ship in 1620 from the Mayflower Steps, the famous Plymouth Gin Distillery, to famous Artists like Robert Lenkiewicz and much, much more. 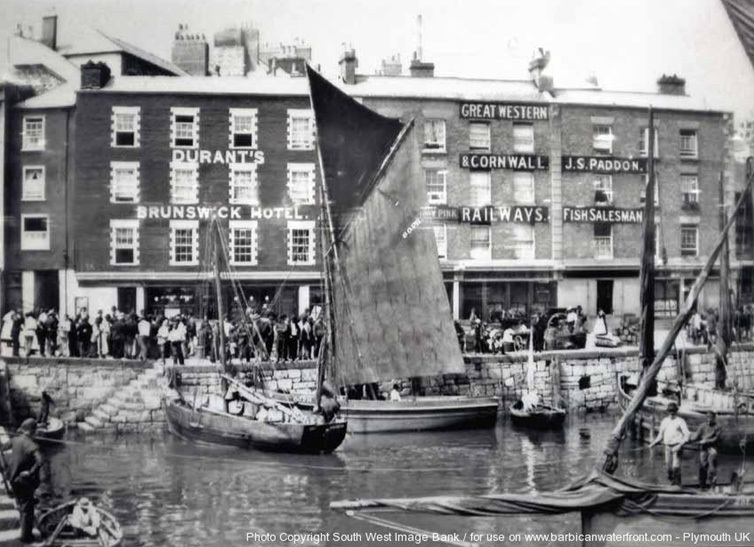 Take a step back into the past with these historical photos of the Plymouth Barbican below. 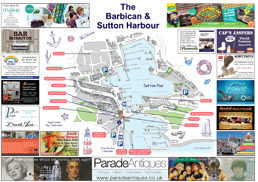 A good place to visit for all things history related is Chris Robinson’s shop located on the Barbican. 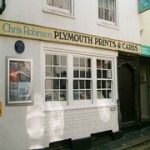 Chris is one of Plymouths top historian and more details about him and the history of Plymouth can be found on his website www.chrisrobinson.co.uk. 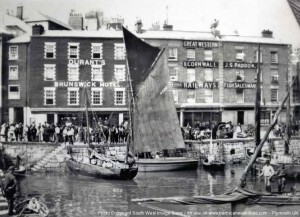 Archive images kindly supplied by Plymouth Barbican Association South West Image Bank. If you would like copies of these images please contact the South West Image Bank. Images above from the 1880s vs 2011. The building in the far right in the 1880s image is the brown building to the right in the 2011 photo. The Mayflower Tourist information centre is build upon were the other two buildings once stood. Also note the quayside, which has been widened over the years.